Several new reports have come out recently on Over-The-Top (OTT) video services, and if you haven’t taken the opportunity to look at this channel seriously, now’s the time. OTT includes any services that can be delivered over the internet, and not requiring either cable or satellite subscription. These services are often delivered through “smart TVs,” which connect directly to the internet, but can also be delivered through TV add-ons like Roku, Google Chromecast, and others. If you’ve ever watched Netflix, Amazon, HBO Go, or Hulu, then you’ve experienced an OTT service. According to this Media Post article, OTT services are taking up more and more share of TV content, with about 40 percent of US households using them. 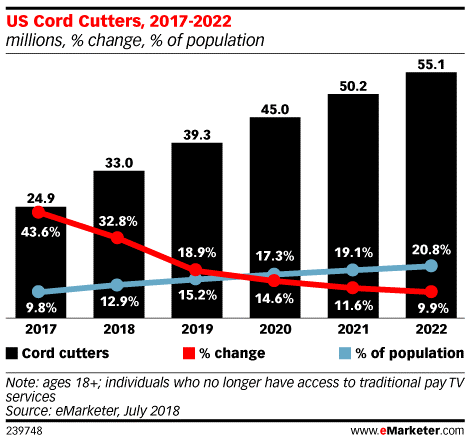 And a separate report from eMarketer finds that the number of cord-cutters are reaching new highs, and are projected to continue to grow. What make this channel unique is that three of the biggest providers—Netflix, Amazon, and HBO—are ad-free, and they make up about 50 percent of all OTT consumption. However, many other services are out there where advertising is a part of the service’s business model, making now the right time to explore these options and test the waters (if you haven’t already). There are a few challenges facing marketers who want to dip a toe into OTT advertising. First, despite their widespread use, services that offer advertising still have relatively small audiences. According to a comScore report, only eight out of 10 of the top services have a US market share of more than 10 percent, or about six million households. 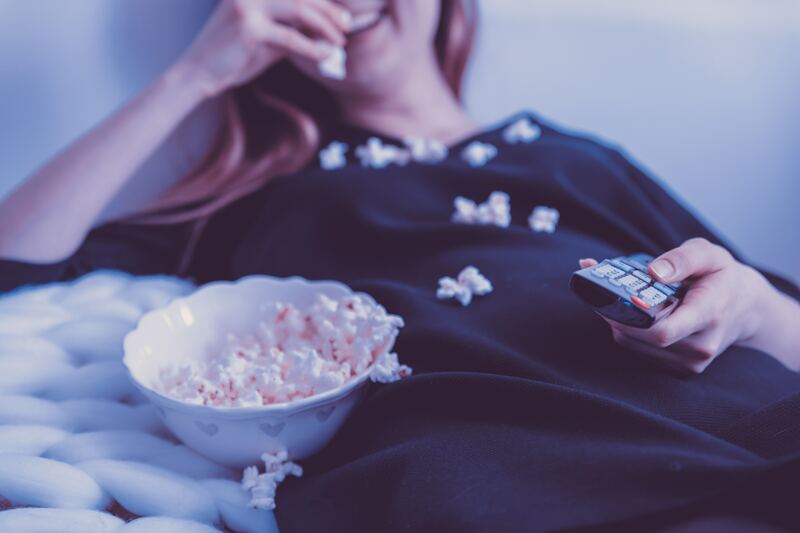 Moreover, while the overall number of people using OTT services appear to be growing, a lot of those audiences have brand loyalty to the content provider and simply are shifting away from traditional broadcast or VoD services while still consuming the same content. That means that these services do not do a good enough job of reaching new audiences, not in the same way traditional broadcast does. For marketers, this potentially represents two excellent opportunities. First, advertisers appear to be still a little shy about buying inventory when it comes OTT services. For marketers who like to experiment, though, OTT audience sizes and reach are big enough to test ads but also small enough (and not popular enough) to command premium pricing. Second, advertising on traditional broadcast is leveling out and even starting to decline in some sectors. This is in part due to the explosion of OTT services, cord-cutters, and just the generally highly fractured media landscape. That means that traditional ad units may start becoming more affordable as demand for them drops. This won’t be an overnight change, but likely gradual over time. The key, of course, is having connections with those outlets so you know when there are opportunities for good deals (something we here at Capital Media excel at unearthing). Every smart marketer knows that there’s no silver bullet when it comes to advertising. No one placement is going to make your business profitable for the entire quarter or year. It takes a smart mix based on research, experimentation and data analysis. If you need help finding the right marketing mix, now’s the time to act. Contact us to get started!